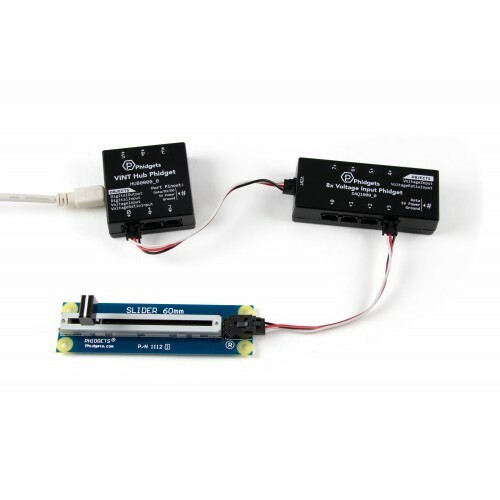 The Slider 60 is a linear potentiometer - the resistance varies linearly with the position of the slider. 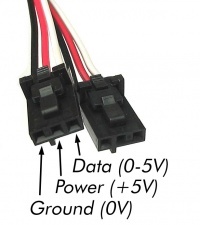 It outputs a voltage ratio between 0 and 1 that varies linearly over the 60mm of travel. The maximum resistance is 10K ohms. 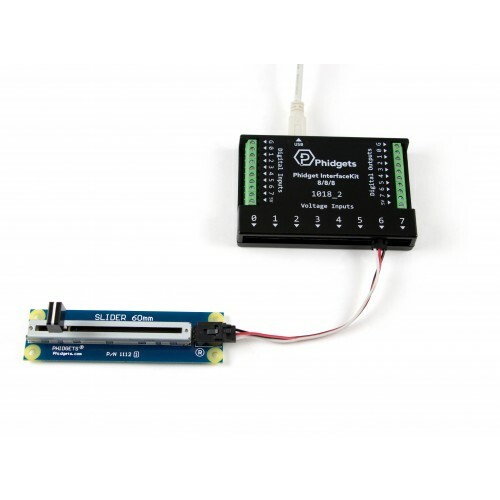 The 1112 can be used as human input or as position feedback in a system. 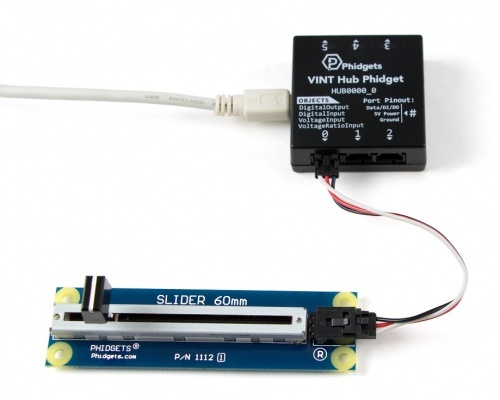 Connect the 1112 to the HUB0000 with the Phidget cable. 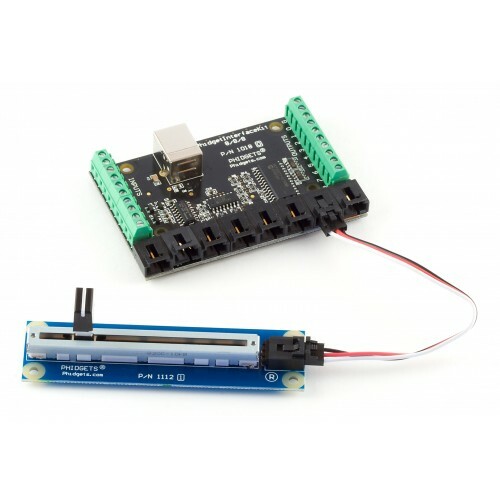 Now that you have everything together, let's start using the 1112! 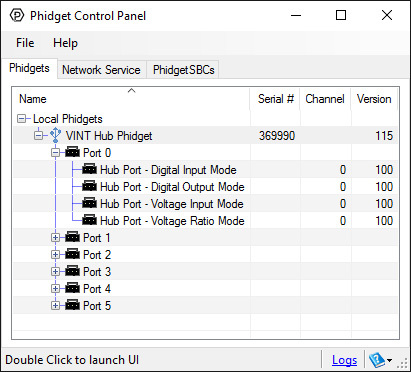 In order to demonstrate the functionality of the 1112, we will connect it to the HUB0000, and then run an example using the Phidget Control Panel on a Windows machine. 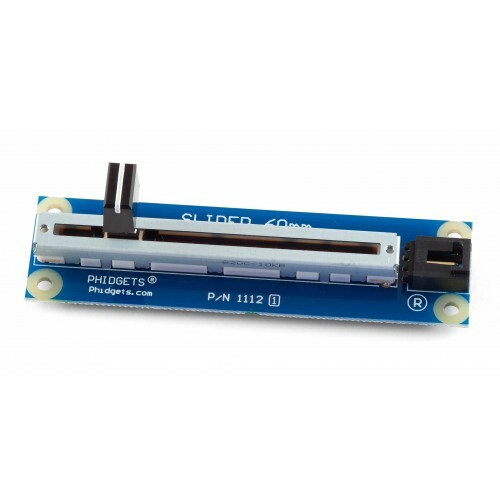 Linux users can follow the getting started with Linux guide and continue reading here for more information about the 1112. Select the 1112 from the Sensor Type drop-down menu. 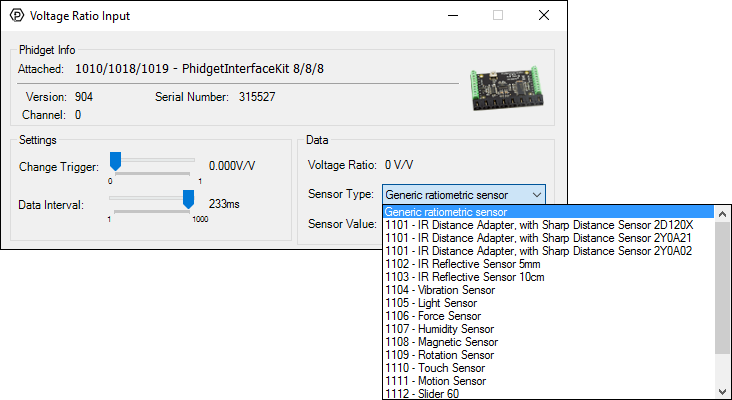 The Sensor Value will now return a value between 0 and 1. 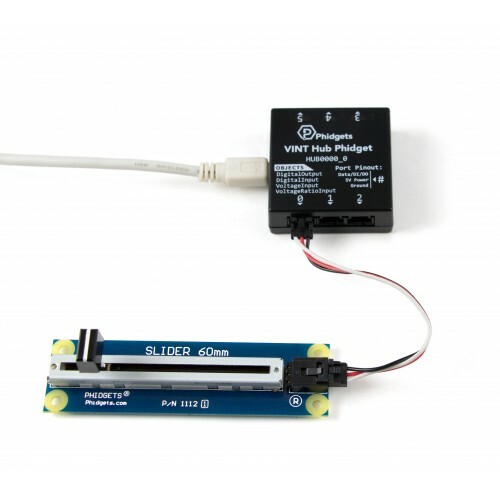 The slider will report 0 at one end and 1 at the other end, making it ideal for use as a human input or position feedback device in a system. 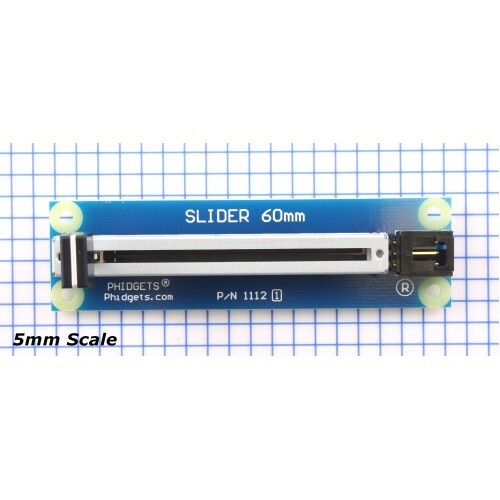 The maximum resistance of the slider is 10kΩ.